Stars making a special appearance for their friends in nothing new in films. 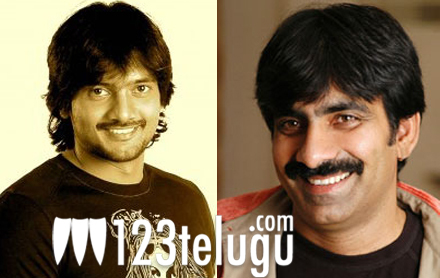 Continuing the trend Mass Maharaja Ravi Teja, will make a special appearance in good friend Sairam Shankar’s Romeo. He will been seen in an important cameo, which would be crucial to the film. Puri Jagan has scripted the story of Romeo which is directed by Gopi Ganesh. Adonika is casted opposite Sairam Shankar in this romantic love story set in Europea. Sunil Kasyap has scored the music and Valluripalli Ramesh is the producer. The makers are planning to launch the audio soon, and probably looking at a year end release.